It’s the end of the summer, still sweltering hot here in Florida and I’m looking for a nice, cool summer salad to serve for dinner. A fellow Punky Mom recommended this delicious pasta salad with roasted tomatoes so I thought I’d give it a shot. Boy was I happy that I did. I thought I’d meet some resistance from the hubby to eating just a pasta salad for dinner, but it was perfect! Who wouldn’t like a combination of tangy lemon and balsamic vinegar dressing with salty cheese and sweet tomatoes! I have to admit that I was a little apprehensive about roasting tomatoes, since I’ve never done it before, but it couldn’t have been easier. Just slice, arrange and bake. I served this as dinner but it would be an excellent side dish or a perfect pasta salad to bring to the next potluck, BBQ or picnic. Heat the oven to 300 degrees. 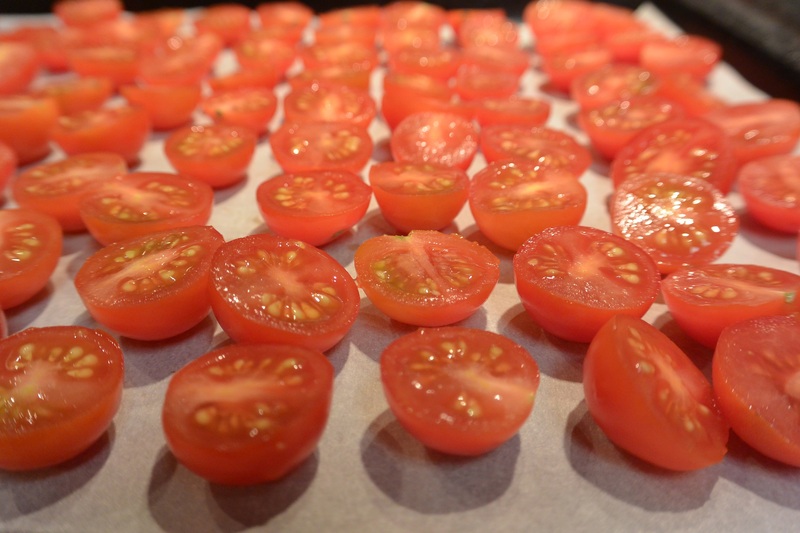 Slice each tomato in half and place on the paper. Back in oven for 75-90 minutes until somewhat shriveled and dried up. Chop the garlic and add to a bowl. Add oregano, 1 to 1 1/4th teaspoon salt, pinch of pepper. whisk in lemon juice and balsamic vinegar. Add 1/3 cup olive oil. Adjust to taste, I added more vinegar and salt. Cook the pasta as the package directs. Drain and rinse. Toast the pine nuts in a toaster oven, approximately 5 minutes, and let cool. 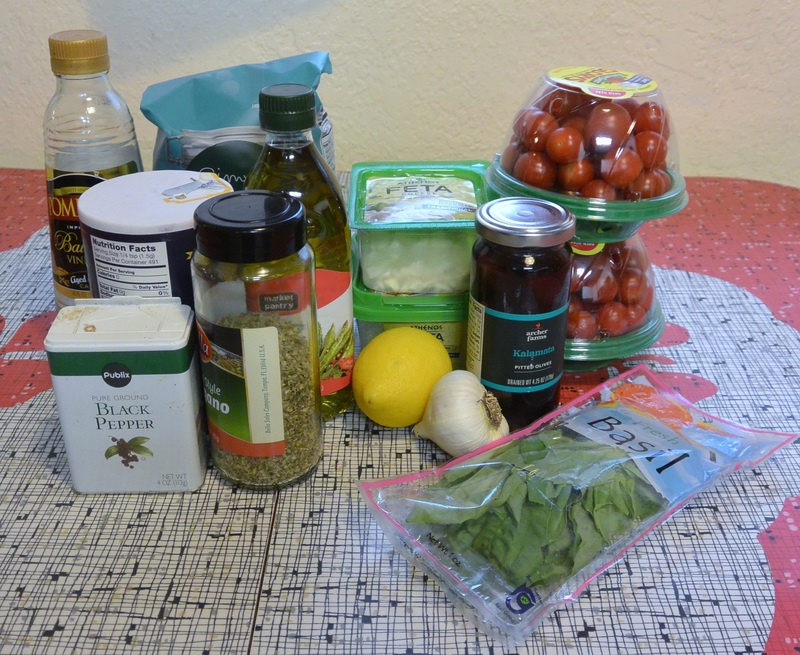 Add roasted tomatoes, cheese, pine nuts, olives and toss. Add dressing to taste and any additional salt and pepper. Salad can be eaten right away or kept in the fridge for up to 3 days. Tattooed Disney Princesses As Pin-Ups. Damn Ladies!